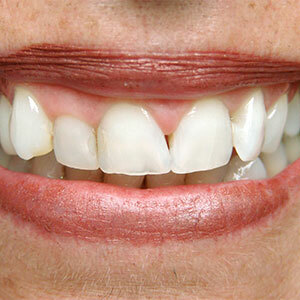 From teeth whitening to reshaping, cosmetic dentistry provides many options to create or restore a beautiful smile. Cosmetic dentistry has become extremely popular, and with the demand has come exciting advances in equipment and techniques. 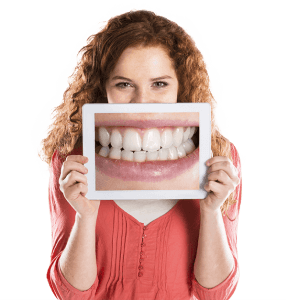 There are various reasons for cosmetic dentistry, such as repairing a defect or correcting a malformed bite, straightening crooked teeth, reconstructing teeth after an injury, or simply improving overall appearance by creating a beautiful smile. If you’re uncomfortable smiling or showing your teeth, check out our cosmetic dentistry options. To best suit your dental needs, we will discuss options, how the changes will look, what you can expect and maintenance required. We look forward to discussing your goals and helping restore your confidence and smile. 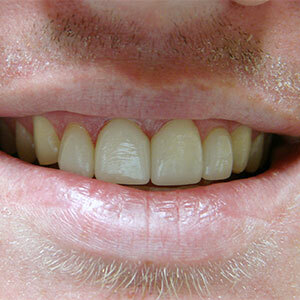 Stained, dull or discolored don’t have to describe your teeth. 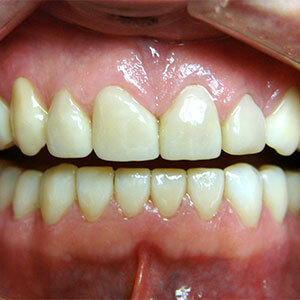 Professional teeth whitening is safe, effective and it can lasts up to five years. 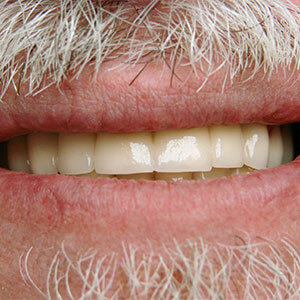 At your appointment, we will discuss the best options to brighten your smile. To fill a gap, reshape teeth or improve the color of your teeth, composite bonding is a process where enamel-like material is applied to the tooth’s surface, sculpted, hardened and then polished to create an improved appearance. 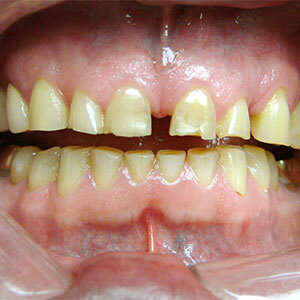 Years of stains caused by food, drinks and tobacco use can be erased in just a few visits. 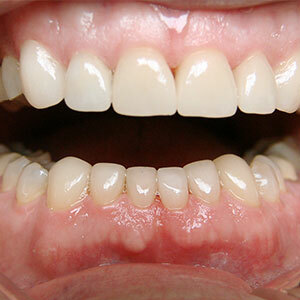 Veneers are an excellent way to correct discolored, worn down, cracked or chipped teeth. 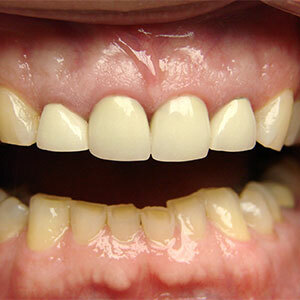 Porcelain/composite veneers are bonded to the teeth and require a small amount of enamel to be removed; however, veneers typically last longer. These dental fillings are matched to the natural color of your teeth and may be used to restore teeth that have fractured or decayed. For patients with healthy teeth that would like small, simple changes to improve their smile, contouring or reshaping is often the best option. 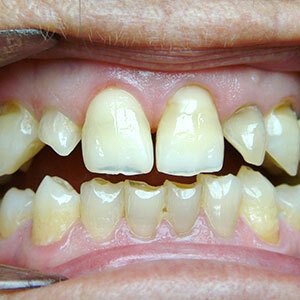 These procedures are commonly used to correct a crooked tooth, chipped or misshaped tooth. 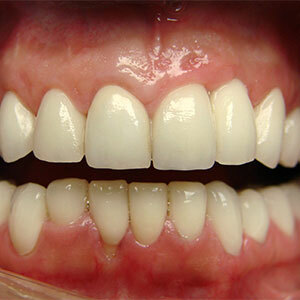 Crowns are an effective way to restore the function and appearance of a tooth. Crowns are often used following a root canal, to repair decay or restore a discolored or stained tooth to its natural appearance. Bridges are a custom-made, natural looking dental appliance used to bridge gaps, restore the natural contour of teeth or correct a bite between upper and lower teeth. Can your teeth be TOO white? Close a gap and create a beautiful smile with Porcelain Veneers; and, this procedure was completed with no shots or drilling! 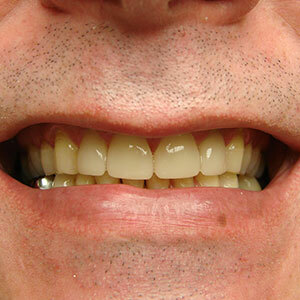 Porcelain Crowns on upper teeth and a Dental Implant Bridge on lower teeth perfected this patient’s smile. 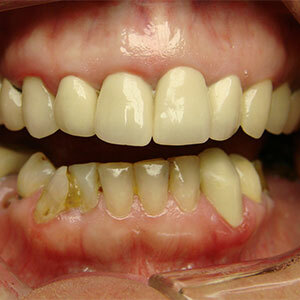 These severely worn teeth got a brand new look with Upper Porcelain Crowns and Lower Composite Bonding. 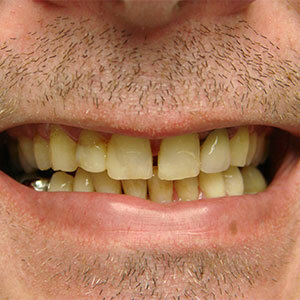 Restoring his confidence, this patient received a life-changing Full Mouth Rehabilitation. 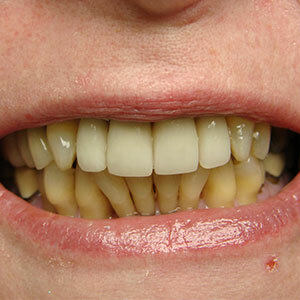 Porcelain Crowns were the best option for this patient’s top teeth; however, the bottom teeth required extraction then a Dental Implant Bridge. 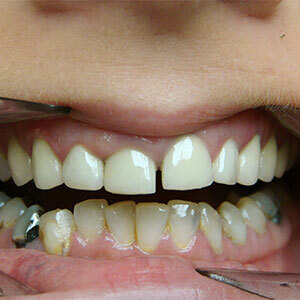 The final result is a beautiful, healthy smile. 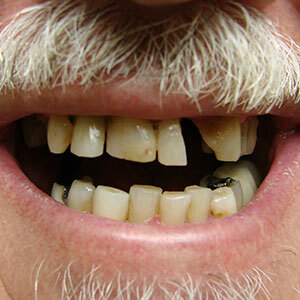 This patient had poorly fitting upper crowns, a mouth full of big, silver fillings and tooth decay. 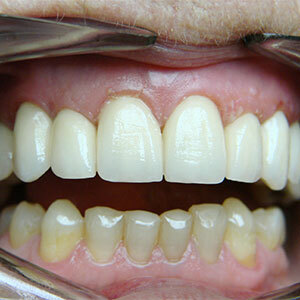 After a Full Mouth Rehabilitation with Porcelain Crowns, the results reveal a gorgeous smile. 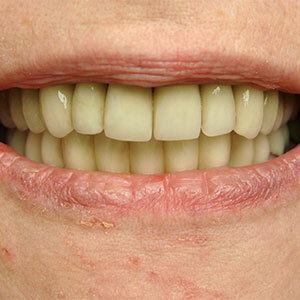 In just one day, this patient’s smile was restored by correcting the four upper teeth with CEREC Porcelain Crowns. 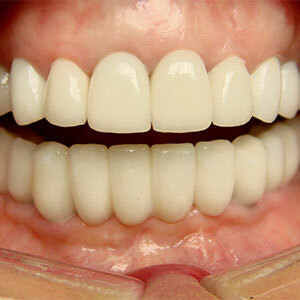 New porcelain crowns for Upper and Lower front 6 teeth to improve esthetics and restore worn teeth. 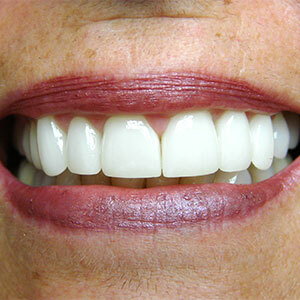 Veneers and Crowns to fix thin teeth and crooked smile. 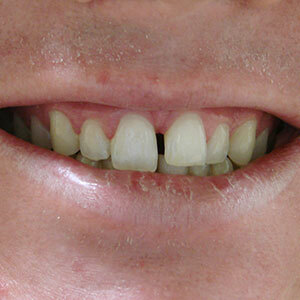 Severely worn teeth restored by new Zirconia Crowns. These crowns are very strong to resist future fracture or wear.